Remains of the ancient village of Kefar Ḥananya are located on the lower slope of a hill at the eastern edge of the Ḥananya Valley, in northern Lower Galilee, along the route from Acco to the eastern Galilee, about 9 km southwest of Safed. The identification of ancient Kefar Ḥananya with modern Kafr ‘Inan (Kufr ‘Anan) is based on geographic references in tannaitic literature, including mention of Kefar Ḥananya as a boundary point between Upper and Lower Galilee (Mishnah Shev. 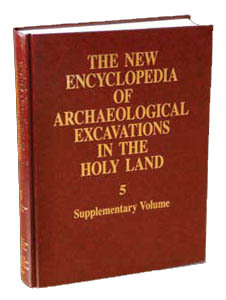 9.2); on archaeological and archaeometric evidence showing that the site was a pottery-production center during the Roman and early Byzantine periods; on the mention in a twelfth-century CE text of a rock-cut synagogue at Kefar Ḥananya; and on the phonetic similarity of Kafr ‘Inan to Kefar Ḥananya.